Ed. Note: Commander Rich Straka of the St. Paul Investigations/FORCE Unit and several of his fellow Officers from Minnesota were honored to attend the funerals of slain NYPD Officers Rafael Ramos and Wenjian Liu. Here, he writes about the experience and gives thanks to the hospitality and goodwill he and his peers received from the NYPD, despite the tragic circumstances. 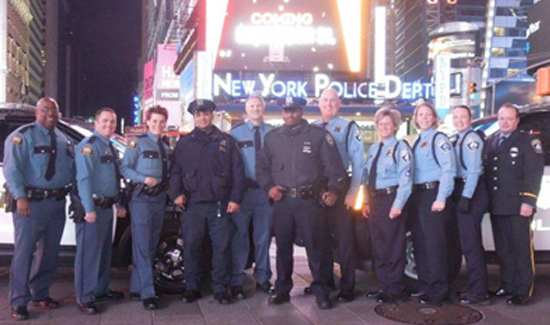 On Christmas Day, four officers from the St. Paul Police Department and five officers from the Minneapolis Police Department, myself included, headed to New York City to attend the funeral of NYPD Officer Rafael Ramos. After driving non-stop, the group arrived the next day and attended the wake for Officer Ramos on Friday night. On Saturday morning, the group met in Times Square and was honored to meet with NYPD Officers assigned to Times Square before heading to the funeral. It was truly a humbling experience, as thousands of NYPD cops and cops from throughout the country and Canada had come out in droves. We were directed to an area about two blocks from the service. On one side of the street were NYPD Officers and across the street were law enforcement from outside agencies, a sea of blue as far you could see in every direction. 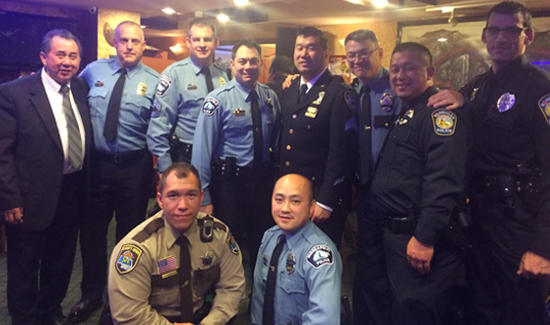 On January 2, a second contingent of Minnesota Officers—all members of the Minnesota Asian Peace Officers Association (MNAPOA)—flew to New York City, courtesy of Sun Country Airlines, to attend the funeral for NYPD Officer Wenjian Liu. Upon arriving, they were met by members of the NYPD’s Asian Jade Society and received equally kind treatment as my group did. 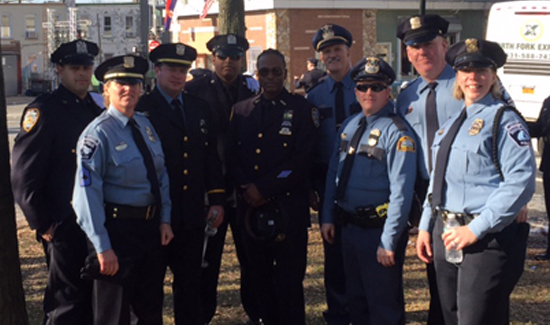 The following day, those officers attended Officer Liu’s wake. Despite the heavy rain that morning, the turnout was huge, and the funeral home could only accommodate a finite number of Officers at a time. Some have questioned whether NYPD Officers dishonored the memory of Officers Ramos and Liu by their actions, but I cannot think of anything more honorable than tens of thousands of NYPD officers standing in the rain for hours, getting completely soaked just for the chance to spend a few seconds in front of Officer Liu’s casket. On January 4, Officers assembled for Officer Liu’s funeral. Standing in tribute were 25,000 to 30,000 other officers in a procession almost a mile long down 65th Street, in the Dyker Heights neighborhood of Brooklyn. Jumbotrons along the procession route allowed officers to view the proceedings inside the funeral home. Virtually everyone in attendance agreed the most poignant moment came when Officer Liu’s father, Wei Tang Liu, spoke. Despite the language barrier, we all knew exactly what he was saying. The sadness and heartbreak of a father speaking about the loss of his only son was something everyone could understand, whether you spoke Chinese or not. We were grateful for the opportunity to meet our fellow law enforcement brothers and sisters from all over the country. Everyone from the NYPD thanked us for being there; however, it was us who were honored to be able to travel to New York and represent our police departments and honor a fallen brother. We made some new friends and left feeling truly inspired, knowing that no matter where we work or how we look, we all have a kindred spirit and personally feel a sense of loss when one of us is taken too soon. It’s comforting to know that in the event of personal tragedy, our “family” will come to take of our loved ones with love and compassion.